Here’s who’s leading you into the woods (and why) - GetGoing NC! Last fall we led a three-day backpack trip into Linville Gorge Wilderness. Perhaps the most challenging trip we offer, it includes two significant river crossings and some rigorous, riotous rock scrambling in the unmarked gorge. We’d vetted all of the backpackers and knew they were up to the task. Still, things happen. Early on, one of our backpackers developed severe blisters. Then, an issue with heat tolerance flared. As we descended to the Linville River at the mouth of the gorge on Day 2, it was clear she couldn’t continue. And he did. Not only did he get her a mile down that dirt road to a small collection of houses, but he found a guy mowing his grass who agreed to give them a ride 20 miles to Morganton. Still concerned about the backpacker’s health, Scott declined a ride back to rejoin the group and stayed with the backpacker until the next day, when her ride, who was also on the trip, picked her up. Scott never complained about spending the weekend in a Holiday Inn Express lobby rather than in a gorgeous wilderness; to him it was part of the adventure. Because our program caters to first-timers and folks not comfortable with exploring on their own, compassion is a key trait we look for in our guides. 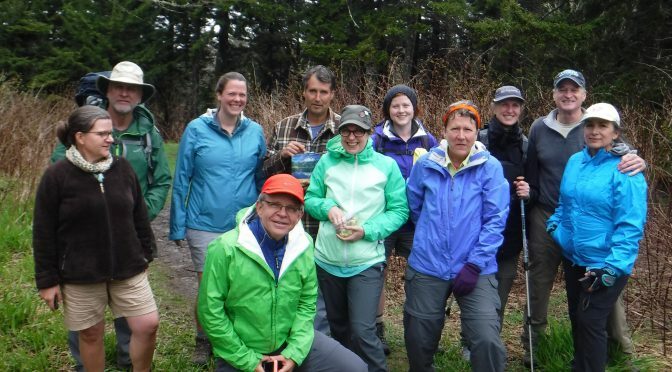 When we started five years ago leading day hikes, we made clear that we would drop no one, that we would ensure this by leading our hikes from the rear. Experience. Anne Triebert has been hiking and backpacking longer than she would prefer we print. Suffice it to say that she got her start at the state’s educational epicenter for the outdoors, Western Carolina University, as an undergrad in the 1970s and she hasn’t stopped moving since. In fact, she’s currently on her honeymoon, a three-month sojourn with hubby John where their lux accommodation has been a two-person tent and their “luggage” is transported to their “room” not by a bellhop but by llamas. 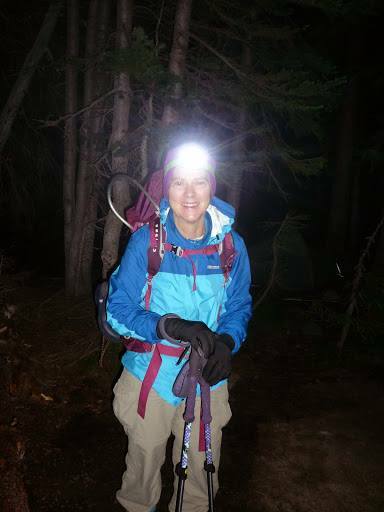 Anne leads day hikes and most of our GetHiking! Classic Escape Weekends, basecamp-based hiking trips that explore some of the high country’s most awesome terrain. Fresh perspective. Experience is great, no mistake about it. But sometimes the experienced can forget what it’s like to be a novice. Alison Watta came to us a year and a half ago, an adventurous soul for whom backpacking was next on her wide-ranging bucket list. Fortunately for us, Alison became smitten with hiking and backpacking. She’s been on nearly every backpack trip we’ve done since, and is now leading our new GetBackpacking! Overnight Sampler class. She’s managed to cram about a decade of backpacking experience into 18 months (she’s also become a gear nut), yet she still knows what it’s like to come to backpacking fresh and naive. Experience and fresh perspective — a rare combination. Going beyond. Going beyond, both in the sense of doing whatever it takes to care for a hiker and in thinking beyond just a day hike or a weekend trip. Scott Hicks qualifies on both counts. In addition to being the consummate caretaker, he’s our guide when it comes to the long hike. 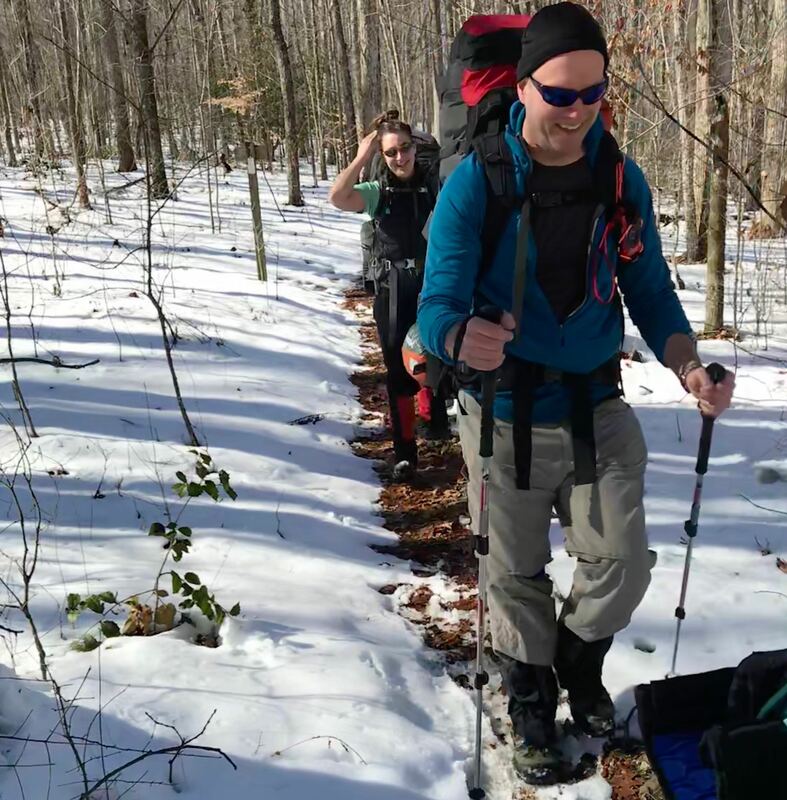 Three years ago he lead a thru-hike of the 77-mile Foothills Trail, he’s planning a thru-hike of the John Muir Trail (hopefully in the next two years), and he’s currently leading an informal series of section hikes of the Appalachian Trail. It’s the latter that we are especially excited about. 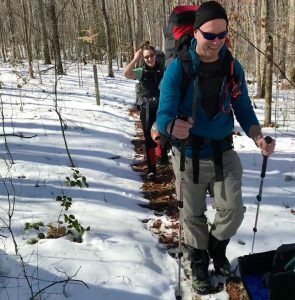 Few of us can envision taking six months off to hike the AT, but a couple weeklong hikes a year knocking off 70 to 90 miles a pop? Doable. Scott hopes to offer these section hikes as a GetBackpacking! option next year. So that’s what you’re looking at when you stand at the trailhead on one of our adventures, wondering about the person about to lead you into the wild. 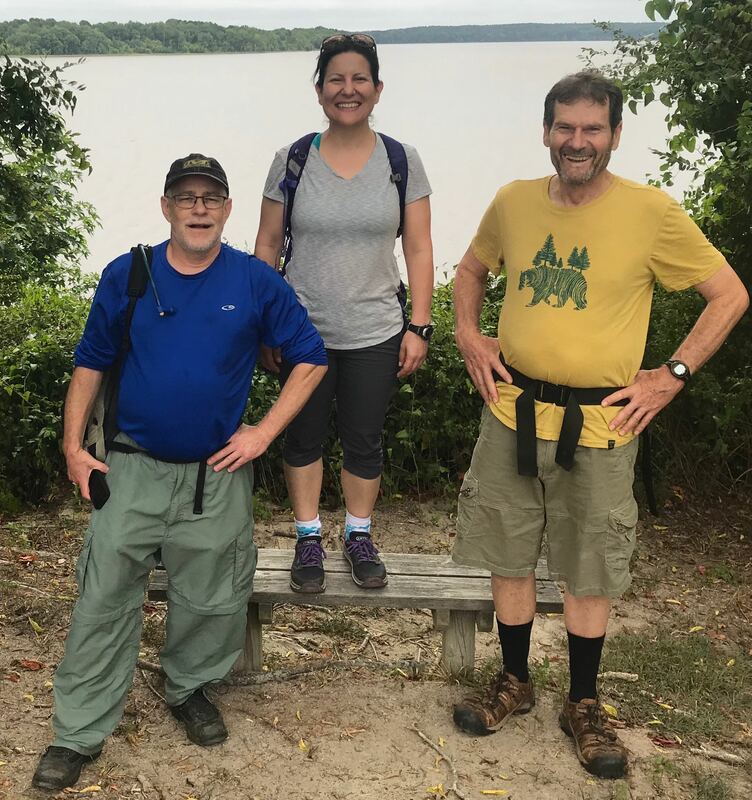 You may be looking at someone who’s been hiking for a half century, or someone who knows a thing but is new enough to appreciate the newcomer’s perspective, or who shares your dreams about doing the long hikes — and can help you achieve them. But above all, you’re looking at someone you can trust. Alison Watta and one of her pre-backpacking and hiking adventures, here. 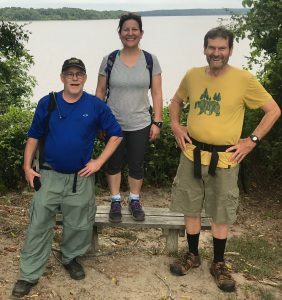 Scott Hicks’ thru-hike of the Foothills Trail here. The guy in the green jacket in the top photo, lead guide and founder Joe Miller, go here.